I don’t use iMovie. I look at it and have no idea what to do, but it continues to innovate way beyond even stuff that Final Cut Pro is doing. It is a consumer editing software and much like consumer cameras have cool features we want in our pro cameras the same seems to be with iMovie 11. The best of these is a built in rolling shutter fix. You know why you do those whip pans and the lines are all skewed? It’s horrible. Well after a very simple quick test with some extreme footage I have to say I am pretty damn impressed. It worked fast and made the skew way less pronounced. Yes, still visible as my example is pretty extreme but that is the point. I have a short demo video showing how it is done and the effect it has on the footage. Downside is does not work within FCP of course and the bit rate of the original pro res clip is substantially dropped, but not enough to ruin clip, it stills is pretty damn good and best of all it works FAST! I have only done this short test with skewed footage, not handheld jello vision yet. iMovie 11 rolling shutter fix from Philip Bloom on Vimeo. Looks good, wonder if it works vertically as well as horizontally with the ‘squashing’ of the image that occurs with fast vertical movement. give it a try sir! That’s really quite a fix isn’t it. I’m wondering if there will be any patches to CS5. I think the rolling shutter issue fix could be a bit of a game changer. Now they just need a moire/alias fix! Kinda wish this was in the 1200$ Final Cut Studio program. Or at least an update to it. Thanks for sharing. Any good tool for removing or helping to fix the morie effect? That is a pretty nice little feature to have. Hopefully FCP will take note of this and consider adding it to their system of tools for us DSLR shooters. I started out with IMovie ages ago before I could afford FCP and it was simple to use and offered some decent features. Nowhere near as strong as FCP and Premier CS5 but let’s remember it does come with the Mac included software. Thanks for sharing Philip. Really cool, thanks for this. So it seems to sort the skew but does it also sort the strobing i seem to get on my horizontal movement to objects that are vertical in frame. I shot some autumn stuff this afternoon and have just reviewed on my TV via hdmi and it seems to strobe and hurt my eyes! as you say, lets hope fcp gets this! Very cool indeed – thanks for sharing Philip! I think there may be a lot of things incorporated into the next FCS. Rumor has it, it may see the light of day come NAB11. During the iMovie demo I thought of how cool it would be to have a storyboard system like they showed off during the trailers feature demo. I saw this come across my FB news wall and I was going to relay here it until I realized it was Mr. Philip Bloom…again, FANTASTIC! Now I’m just hoping a for a FCP plug-in, or maybe an AE plug-in sometime in the near future. Is there any quality loss exporting the imovie version of the clip, to use it in fcp? iMovie is, in my view, a great product and iMovie 11 a great uplift to my tools as a DSLR video shooter. So far I have not needed to move on yet to something like FCP as being first a photography and then a video maker I find iMovie and Aperture great tools for my needs and storytelling. you couldn’t get into the 3pm one? thought everybody got in. sorry! Really amazing. Do you know if Lock and Load X will give you the same result? They have a rolling shutter plug-in for FCP. This is cool for sure. What concerns me however, is that apple seems increasingly more interested about how they’re going to take their consumer apps into the future rather than their pro apps. I’m staring to become more interested in cross platform training my self (the flexibility is important)to AVID because apple responds so slowly to fix issues with pro apps that don’t perform. i.e compressor. Thanks for sharing these bits off information. The DeShaker plug-in for VirtualDub has a rolling shutter reduction feature, for the PC users. You may have to tweak the settings to get the best results though, as there are a lot of in-depth controls. Neat fix… but I still wish that people would understand the principles behind whip pans and rolling shutter. Between your broadcast background and diverse experience with DSLRs and the EX-1/3… you probably have mastered this concept excellently. I remember when the HPX300 came out, there was a lot of debate over it’s rolling shutter versus the EX-3. And I remember there was a lot of confusion as to why this was occurring with both the HPX300 and the EX-3. 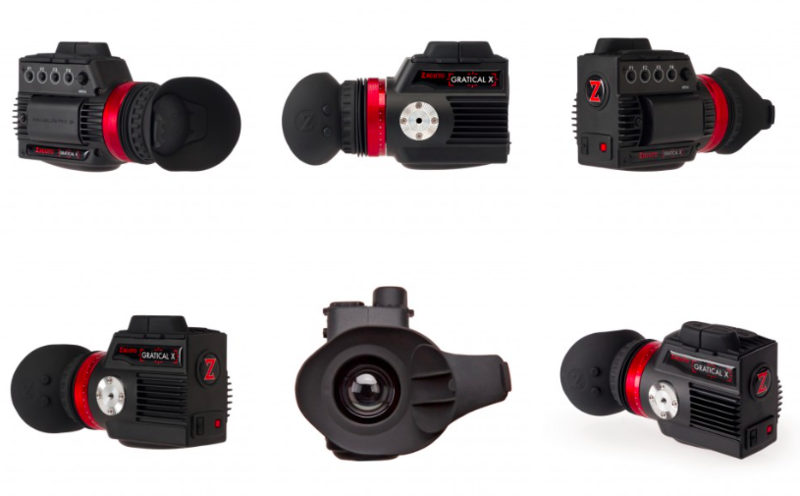 In short, this is awesome for those iPhone 4 and GoProHD users. It’s a nice tool for any filmmaker that needs to fix footage that they can’t go back and reshoot… but I’d still love to see more people understand the limitations of their “tools” (a.k.a. cameras) and really push them to the max without limiting quality of image captures. few weeks ago you posted an article and short super slow mo bmx edit, but i can´t find it anymore. Is it still here somewhere? Does that mean FCP will get it soon? yes, £500 for a yearly license. Hey Philip. This is off topic but I’ve been wondering for the longest time why the LCD loupes need a lens? If say I had a loupe with a comfortable eyecup and I looked through it, wouldn’t the view be great and large and sharp just based on the fact that my eye is so close to it? My eye is still able to achieve focus at this distance. No imperfections from a lens to worry about at all. Am I missing something? Some of the new features in iMovie really makes me hope that FCP8 will come out soon. The instant waveforms feature is a great help when working with sound and let’s hope there’s H264 native support! For as much as I hate iMovie….this is awesome! When will we be able to edit h.264 natively in FCP? Apple sometimes takes a lot of time to do such important improvements. Anyway it’s great to know that improvemnts in iMove11! review of the pentax k-5 please!!!!! It looks like iMovie enlarges the image by a good 5-10%. I would imagine that would soften the pictures significantly. Sure, if the shot was nothing but a whip pan, you could fix it up, but it’s a whip pan for chrissakes! Do you *really* care that the blur shooting past is leaning over a little? Compared to, say interlace flicker, which billions of people happily watched (and probably still do) without noticing anything wrong, I just can’t get too worried about rolling shutter. I mostly notice it when I bump the camera. Anyway, thanks of course for the tip. The Foundry has had a plug-in for AE (and Nuke) out for a while that does this. It´s called Rollingshutter. The only downside is that it´s about 500 bucks. However there are other ways to fix this in AE manualy with masks and using the time options. The results won´t always be as good as with The Foundry plug-in but it will be a massive improvement and it´s free. There are a couple of tutorials out there on how to use that technique in AE. 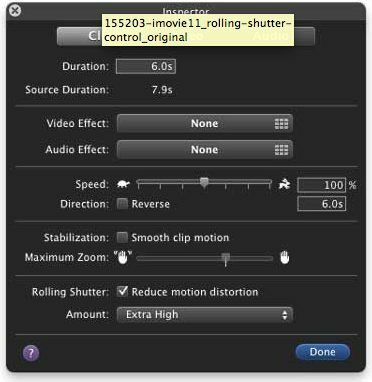 Rolling shutter plug in fix for After effects. The foundry are a well respected bunch in our industry, they make one of the best compositing tools around. yes it’s very good and I have it. it’s a one year license though and AE only and pricey compared to this cheap fix..